It’s the news that changes your life for ever. It either illuminates your faith or nullifies it – it strengthens your friendships or dissolves them – defines your character or distorts it. Nothing is the same–the familiar is no where to be found and “normal” no longer exists. While awaiting a liver biopsy, my friend and I sat in the waiting room- she explaining the steps that brought them to this point and me understanding the familiar journey all too well. Holding back tears–I listened. The results came at the end of the week–stage four liver cancer. People call times like these “defining moments” and for some, this is the case. It is also the commencement of questioning. Why? Why is this happening to me, my kids, my family? Why is God allowing this to happen? Why, after all we’ve been through…? Why….? It is the natural human response. 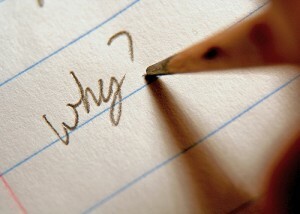 I personally believe that the “whys” matter little. If, by some inexplicable means, we were able to know the reason, would it matter? Would we then be able to say, “Sure God, now I get it. That makes perfect sense to me, no problem.”? – of course not! No answer would be sufficient. The obstacle lies when “why” living begins to bog us down, when we allow the “whys” of life to stifle our ability to live fully in the here and now. Dwelling in the “why” causes us to drown in our circumstances, leaving us depleted of energy and faith. To transcend living in the “why” is a choice, albeit a difficult one–a choice to put faith above doubt, hope above despair, and gratitude above pity. Perhaps it is even an opportunity to see God through the pain, to know God more fully – to experience His grace and love even when we can’t comprehend the “whys”. I have survived almost two weeks without Facebook. I haven’t checked my status, your status, your photos, my news feed–you get the idea. Guess what I have found? TIME! Yes, I have an unexpected amount of extra time on my hands. I do miss “socially networking” with friends and family, but the residual blessings have been worth it. When I exited Facebook I did so with wordage similar to “now you will have to contact me in the old-fashioned way: phone me, email me or text me”. Who would think “texting” is old-fashioned (chuckle)? I had no idea that so many would take me up on my request. I have had more folks call to “check-in”, email to share a story or simply connect, of all things, in person. I have thoroughly enjoyed it. 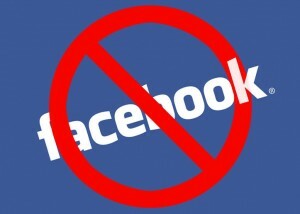 Part of the decision I made when giving up Facebook was the promise that with the time I normally spent “networking”, I would use more constructively – writing, praying, reflecting etc… I had no understanding of what this change would entail or look like in reality. I wonder if I would I have made these same decisions even without the Facebook “fast”? I would like to think so, but I am not sure if that is the case. This act of self-denial has not only provided the time to contemplate, it has caused me to become more intentional in the use of my time. My aspiration is to live more in the present, to find a way to reach beyond the “noise” of life, and to learn to tame the “hurry”. I just finished a book by Ann Voskamp entitled One Thousand Gifts: A Dare to Live Fully Right Where You Are. The entire book was a blessing, but her words particularly resonate when she articulates the frenzied life we sometimes live. This is where I often reside–robbed of my joy and strength because my life is too hurried. I understand that Facebook is not the reason I feel drained of time, it is simply one of the many diversions which exhausts my energy each day. Only by reducing the life “noise” am I able to hear, enjoy and experience the now. I am learning to live fully in these moments of life when God is ever near–these moments that allow me to slow down the pace, get my breath and live fully with thanksgiving (eucharisteo). As a disclaimer: My blog is set to automatically post to Facebook (even though I am not on it right now)–ironic isn’t it? So if you wish to make a comment on this post that you would like for ME to see–then you will have to view it from my blog and comment there. 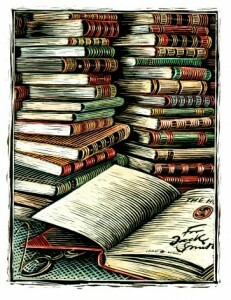 Well Read? What Does That Really Mean? How many of these 100 books have you read? Copy and paste the list on your blog, highlight the books you have read and then post a link here to your blog. 47 Far From The Madding Crowd – Thomas Hardy. 55 A Suitable Boy – Vikram Seth. 74 Notes From A Small Island – Bill Bryson – No but I just finished his new book AT HOME and loved it. 80 Possession – AS Byatt.